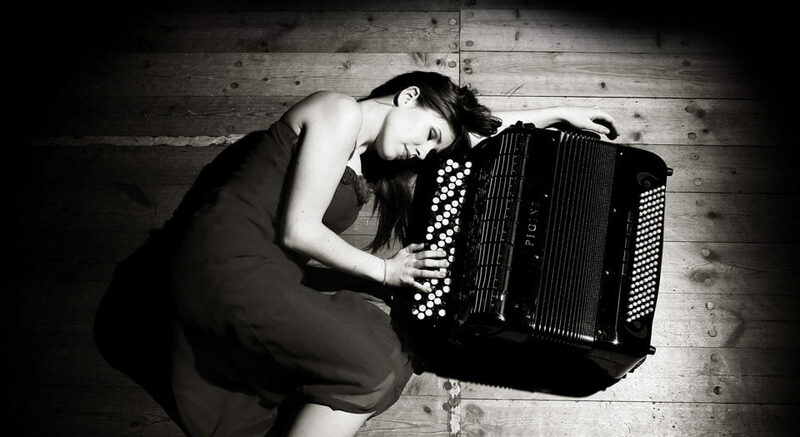 Y v o n n e G r ü n w a l d began her first accordion lesson at the age of six and won the first prize at the “Jugend Musiziert” (“Young Musicians”) contest just one year later. 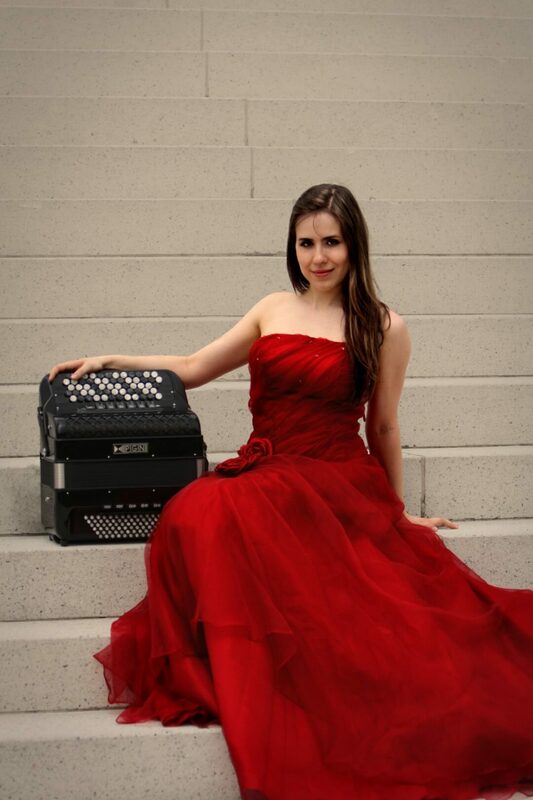 During the period of 1999-2005 she was part of the “Accordion-Ensemble of Sachsen-Anhalt / Germany” which also had a concert-tour throughout Japan. She graduated from the Hanns Eisler Music University and received the scholarship from the Yehudi Menuhin “Live Music Now” society from 2008 till 2015. Yvonne is involved in Film and Television as well as various other projects. She appeared as a solo artist for the opening of the 2009 Young Euro Classic Festival at the Konzerthaus in Berlin. Yvonne Grünwald is a founding member of the French-German ensemble “Les Accordés”, which was founded in 2010. The group consists of soprano and counter-tenor voices and an accordion that performs not only a classical repertoire but also a Chanson stage revue. 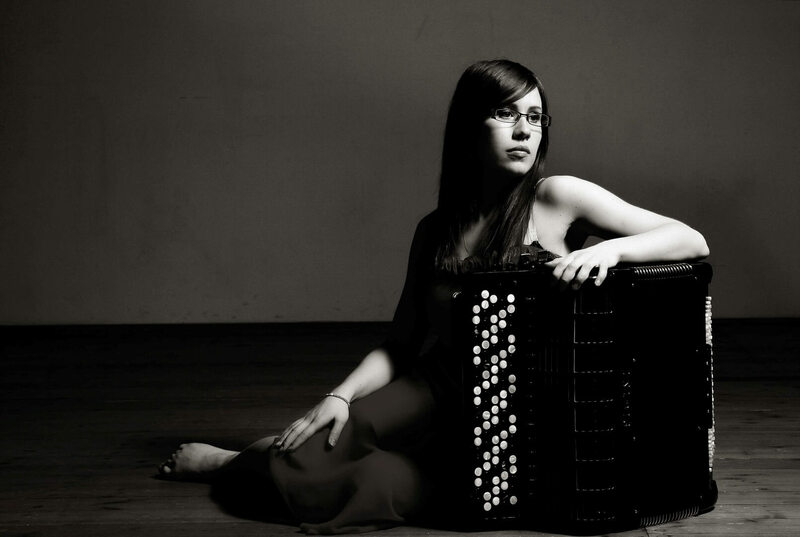 She competed master courses from French instructor Frederic Dechamps and German instructor Tobias Morgenstern, who are both world class accordionists. In 2013 she became a permanent member of the band ELAIZA and was signed to Heart of Berlin record label. In 2014 the band had their breakthrough by winning through popular viewer vote a nationally televised competition against a select number of groups, including famous big name German pop acts like “Unheilig,” to represent Germany in the Eurovision Song Contest 2014 in Copenhagen. In the same year Elaiza reached gold-status in Germany with their single “Is it right.” 2016 their second album was released. After leaving the band “Elaiza” end of 2016, Yvonne Grünwald intensively devoted herself to her duo “Aurata” with soprano Teresa Hoerl. They developed a stage show with classical music, their own songs and show elements. In August 2017, “Aurata” were the face of the “Festival of Young Artists Bayreuth” as part of the Richard Wagner Festival Bayreuth. 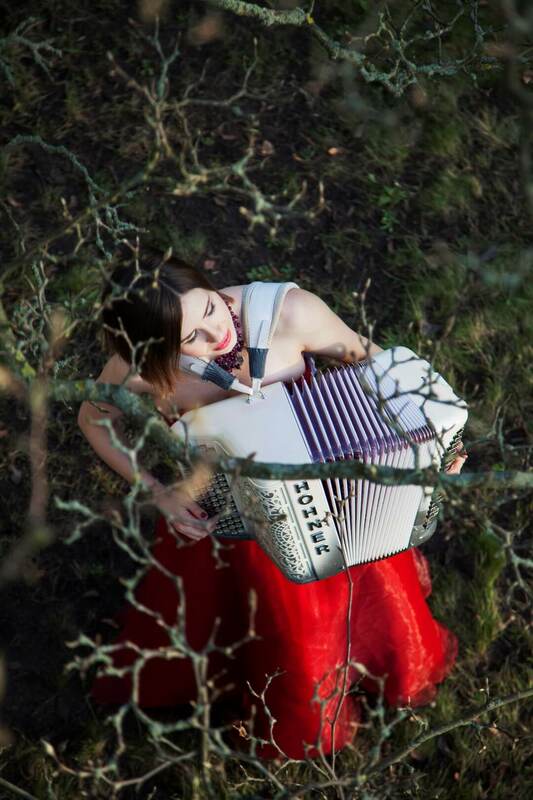 Since 2016 Yvonne has been working on own compositions, incorporating stylistically her musical experiences with classical music, chanson and pop. These include instrumental pieces for accordion but also pop songs with own lyrics, vocals and other instruments like the ukulele. In addition there is also a pinch of stories from the life of a musician answering many question.